This versatile crop top is perfect for dressing up or down. 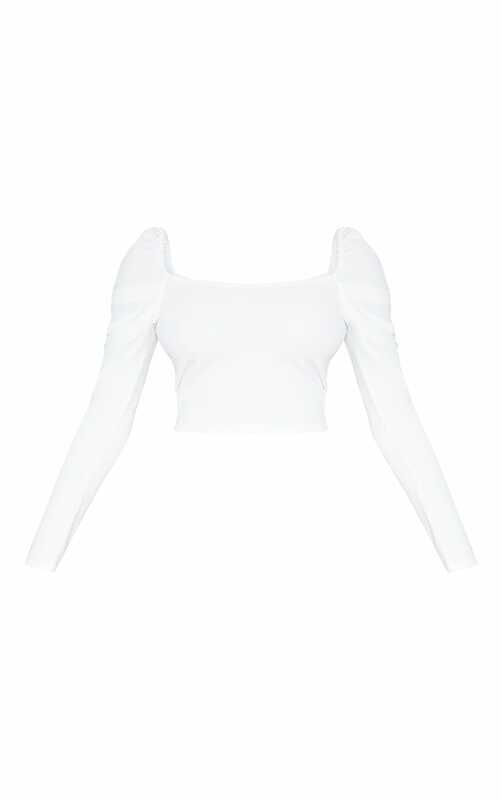 Featuring a white material with a square neckline, long sleeves and a cropped length. Style this with a mini skirt and sky-high heels for a look that's sure to have all eyes on you.